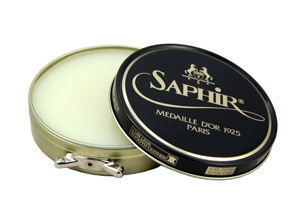 Used to clean and prepare leather for polishing by removing dirt and old layers of polish. 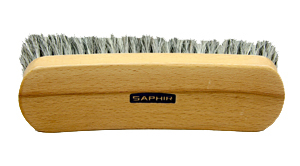 This cleaning soap is the somewhat softer version of Saphir Saddle Soap. Wet the included sponge and work up a gentle lather of the Cleaning Soap. 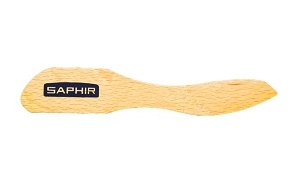 Clean shoe with the sponge using a circular motion, continuing to work the lather on the shoe. Once completed, wipe promptly with a dry rag. Ensure that no soap is left on your shoes. 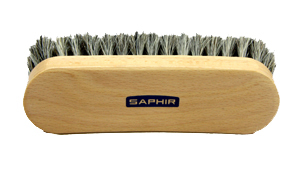 Allow the leather to fully dry prior to conditioning with Saphir Renovateur. 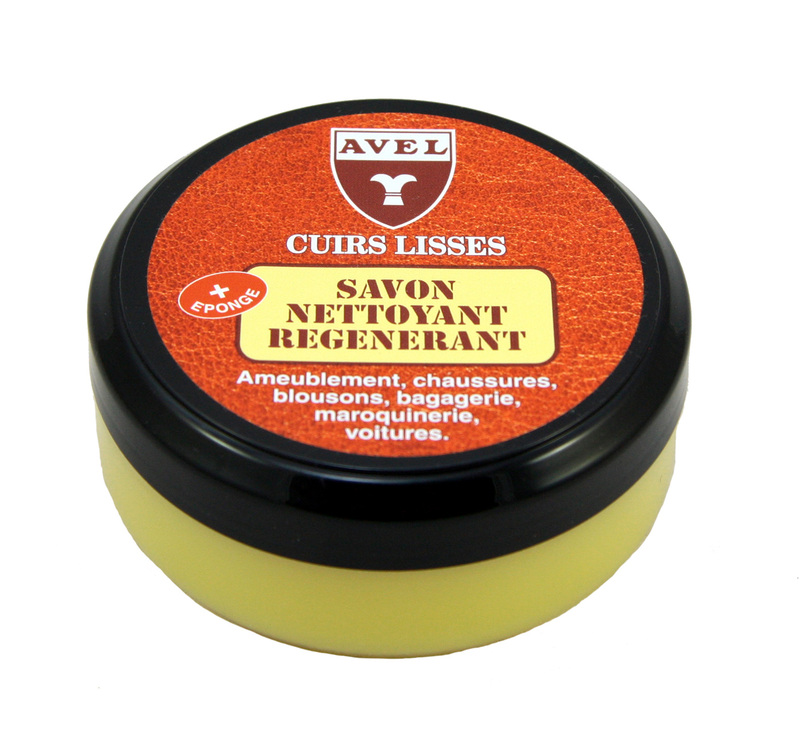 This will recondition the leather and restore any moisture that was removed by the Cleaning Soap, thereby preventing the leather from drying and/or cracking.